Would you like to own your very own custom work of art? 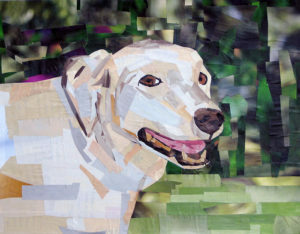 Megan takes custom orders for animal, portrait, landscape/cityscape, and still life collages. Megan’s work is customized to fit standard frame sizes. However, if you’d like other dimensions, this can be done depending on the project you have in mind. Interested in buying custom artwork? Contact Megan with the subject and dimensions you have in mind. 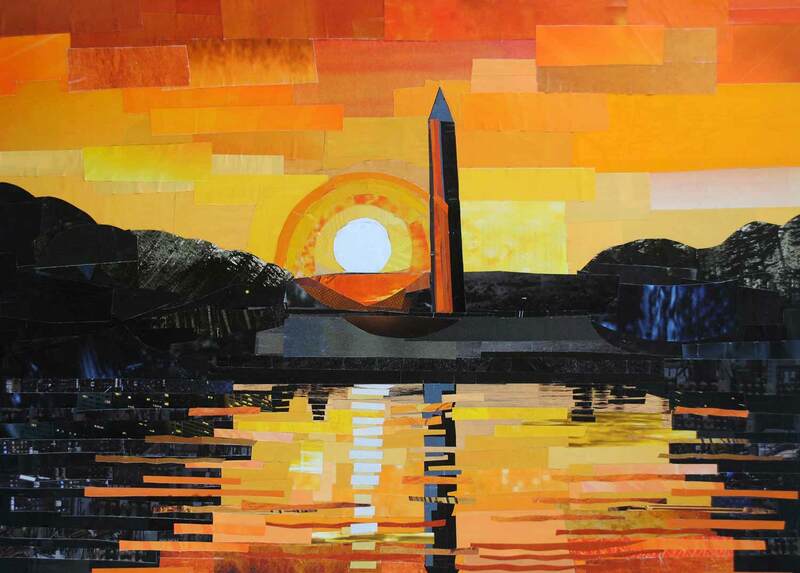 Look through the online galleries to get an idea of the type of work Megan does. You can also let her know if there’s a particular piece that’s similar to what you have in mind. 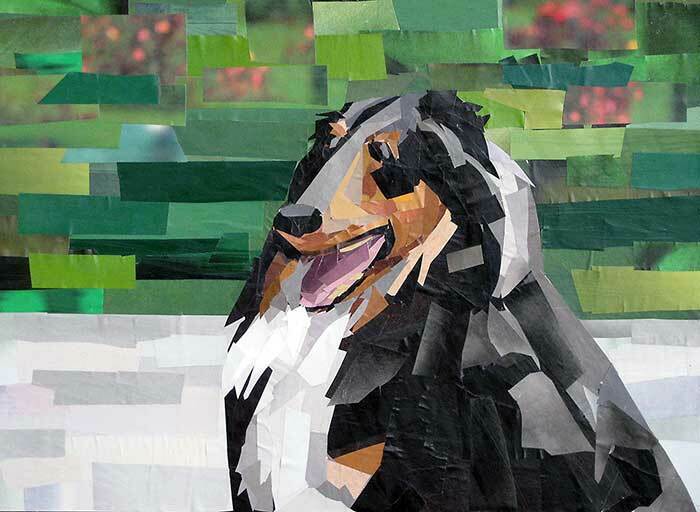 Find an image of the subject you’d like Megan to collage. Decide what dimensions you’d like. Megan prices her artwork based on size and the amount of detail involved. You can submit your request by filling out the contact form or sending an email to megan@megancoyle.com. Megan will get back to you as soon as possible! How long does it take to complete a custom collage? For smaller pieces, it will take about 2 – 4 weeks. For larger pieces, it will take about 4 – 8 weeks. Do I get to see the collage when it's finished? If there are things I am not happy with, can I ask you to fix them? Yes, you will receive an image of the completed collage before it is shipped (or dropped off if you live in the DC area). My priority is to ensure that my clients love their custom art, so if you are unhappy with anything, let me know! Yes, and the price of shipping will be calculated before I begin the collage. I accept payment by Credit or Debit Card through my PayPal account, as well as checks made payable to Megan Coyle. Let me know which payment option you’re interested in and we’ll see where to go from there. When you request commission work, a deposit for half the cost of the collage is due before I can get started. The second half of payment is due upon completion of the work. Shipping, if necessary, is an additional cost. Payment plans can be discussed before the project begins—you can address this in the contact form when you request commission work.